Brenda Asterino shares her own experience with brain injury and the profound experiences, lessons, and perceptions that followed. In finding a path that was useful and meaningful towards healing, she also had a chance to reflect on past events and present interactions about healing and how our culture deals with people who are healing. Poetry and prose form a dance of life that we all take even without a brain injury. Because, we all have things to heal. 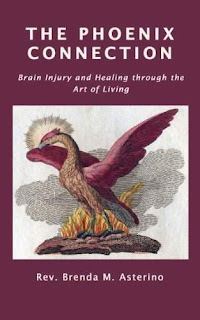 She expands on her own journey with many helpful suggestions for those suffering from brain injury as well as for anyone moving through a death and rebirth (a Phoenix event) cycle in their life. Poignant, practical, and inspiring!